This chic round dining table combines retro and contemporary styles, creating an updated piece perfect for your modern home. 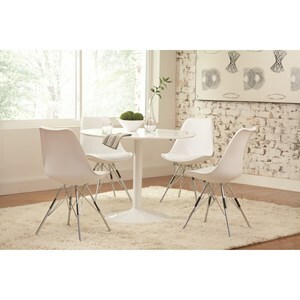 The tulip style table has a simple design and a white glossy finish creating a swanky piece. 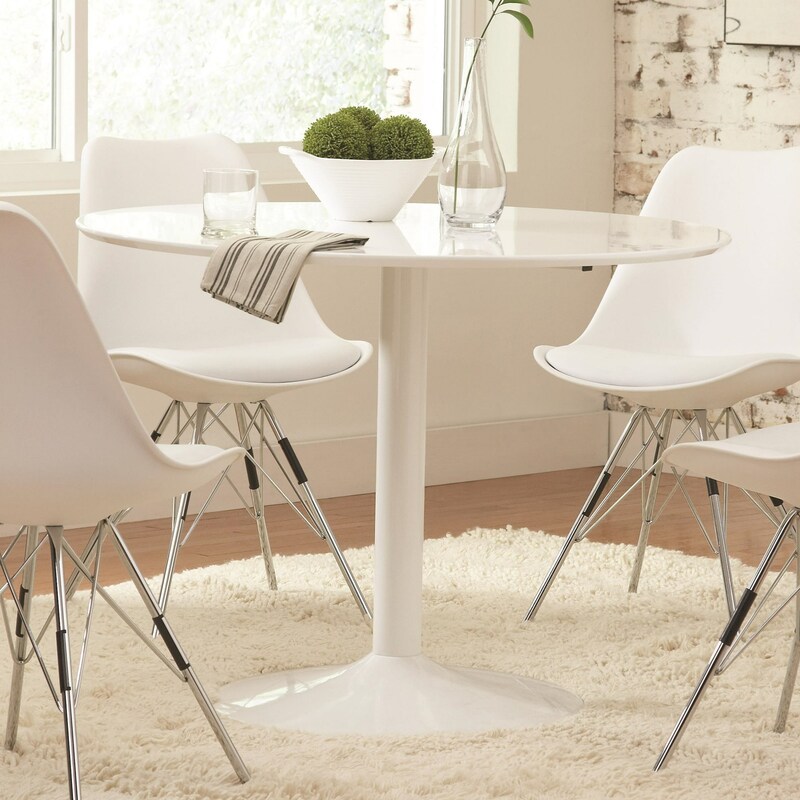 The round shape and smaller size of this table makes it great for a breakfast nook or smaller scale dining area. The Lowry Contemporary Round Dining Table by Coaster at Value City Furniture in the New Jersey, NJ, Staten Island, Hoboken area. Product availability may vary. Contact us for the most current availability on this product. 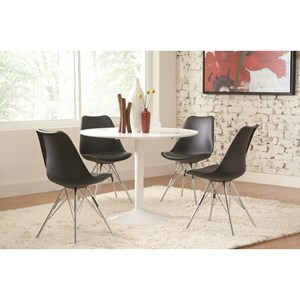 This dining collection features sleek, contemporary designs and beautiful high-gloss finishes. Choose from a smaller round table or larger boat shaped table, both of which would be wonderful additions to a modern home. The Lowry collection is a great option if you are looking for Contemporary furniture in the New Jersey, NJ, Staten Island, Hoboken area. Browse other items in the Lowry collection from Value City Furniture in the New Jersey, NJ, Staten Island, Hoboken area.